On the eve of World War Two, Australian-born Kimiko discovers her lover is an undercover officer spying on the Japanese in Broome. To Harland, Kimiko is an intelligence asset that must be used if we’re to have any hope against the tide of Japanese aggression in the Pacific. But to others in the intelligence world she is the Yellow Peril embodied, the enemy in their heart. As the people she has grown up with are indiscriminately arrested, Kimiko chooses to trust the man that deceived her. She must prove herself to her own government if she ever hopes to return to Broome. But is she fighting for a home that no longer exists? 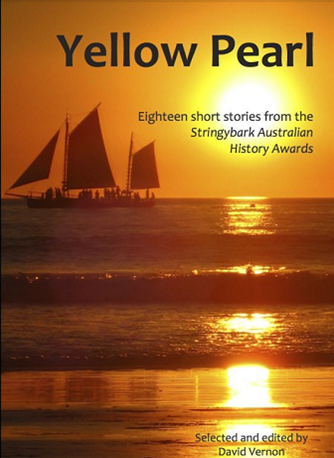 An earlier version of Yellow Pearl’s first chapter was published as the title story of the Australian history short story anthology Yellow Pearl , available in print through Stringybark Publishing and as an e-book through Smashwords.